London (Reuters): Energy taxes in major advanced economies are not doing enough to reduce energy use, improve energy efficiency and drive a shift towards low-carbon sources, the Organisation for Economic Co-operation and Development (OECD) said last week. 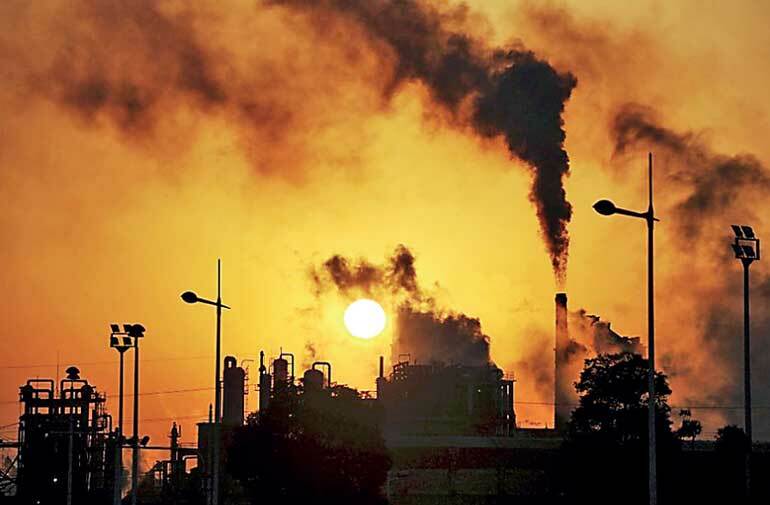 Taxes on energy use, such as fuel, carbon taxes and excise duties, are used by many governments to make energy consumers pay for the costs of pollution, thereby reducing harmful greenhouse gas emissions which lead to global warming. The OECD examined taxes on energy use between 2012 and 2015 in 42 OECD and G20 economies, which represent around 80 percent of global energy use and carbon emissions from energy use. The study did not include carbon market prices, such as in the EU’s Emissions Trading System, but the OECD said they do little to change the report’s findings. The OECD found that almost all taxes are too low to help combat global warming, compared to a benchmark level of 30 Euros per ton of carbon dioxide (CO2) - a conservative minimum estimate of the damage from emitting one ton of CO2. “A bird’s eye view of effective taxes per ton of CO2 across all countries reveals that there is hardly any change in the tax rates on emissions outside the road transport sector,” the report said. “Taxes continue to be poorly aligned with environmental and climate costs of energy use, across all countries,” it added. In the road transport sector, 97 percent of emissions are taxed and rates were above 50 Euros/tCO2 for 47 percent of emissions in 2015, compared to 37 percent in 2012. In non-road sectors, which collectively account for 95 percent of carbon emissions from energy use, 81 percent of emissions were untaxed and rates were below 30 Euros/tCO2 for 97 percent of emissions. Coal, which accounts for almost half of carbon emissions in the 42 countries, goes untaxed in many countries, and was taxed above 5/tCO2 in just five countries examined. Taxes on oil products were relatively high at over 100 Euros/tCO2 on average across all sectors and particularly high in road transport, a sector which remains almost entirely dependent on oil products. Taxes on diesel for transport use are lower than taxes for gasoline in every country except two, although this pattern appears to be changing, the report said. Some governments have started to raise diesel fuel taxes amid pressure to improve air quality in major cities. “Apart from transport fuel tax increases in some large low- to-middle income economies, and some first steps towards aligning diesel taxes with gasoline taxes, there is no structural change to the pattern of taxes on energy use between 2012 and 2015,” the OECD said.